Much of what you do when a customer becomes past due, or when a customer refuses to pay on their contract as agreed, depends on your company’s collection policy. Some businesses push hard and do all they can to collect past due accounts. Other businesses may do very little if they don’t think it is worth their time or effort. You will need to carefully examine the costs and benefits as you test the various steps you can potentially take. If a balance is owed, you certainly have the right to demand payment. You must decide how far you will go to try to collect the balance. Generally, a business will send one or more collection letters to inform the customer that if they don’t pay as agreed, there will be consequences. Many business management software programs provide past due collection letters which can be customized for best use. The internet is also a great place to find standard collection letter templates. Businesses may choose to implement one or more steps. Customers can be turned over to a collection agency, have a negative report sent to the credit bureaus, be taken to court, etc. If you feel your bad debt collection efforts at the business level aren’t enough and you want to take further action, look through the yellow pages or internet for a ‘local’ collection company to assist you. Even though there are many ‘national’ collection companies out there, our experience is they will not be as successful as a ‘local’ company. Most national companies will usually send a few letters and make a couple of phone calls. If they are still unsuccessful collecting the balance, they will turn the contract and balance back over to you. Local companies will usually be more successful in their collection efforts because they have a better feel for the local demographics and are willing to engage in additional collection steps. They also have a local presence, and do business in the same location as you do. A collection company generally adds additional collection and legal fees to the amount you are collecting and attempts to collect the larger amount. Collection companies often keep 25% to 50% of the amount they collect. As unfair and difficult as this may seem, this simply becomes the cost to collect bad debt. Keep in mind, if you choose to manage the collection effort yourself, you may be able to add collection and court costs to the customer balance you are collecting. 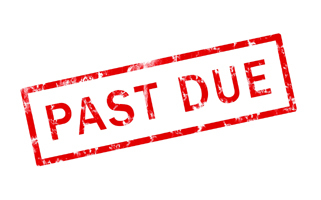 Unfortunately there is no magic bullet to bad debt collections. Nearly every business has to deal with it. The good news is there are steps you can take to minimize customer delinquencies. Implementing an automated payment solution for your customers is a great way to dramatically reduce past due and delinquent accounts. Take a few minutes to browse through our website and become familiar with all the reasons APS should be part of your business plan. You’ll be glad you did! Have You Been Declined for a Merchant Credit Card Account or ACH Account?Does Your Software Provider Force You To Use ‘Their’ Payment Processing Service?